Since 1972, the Hawthorne Valley Association has been a pillar of the sustainable farming community in the Hudson Valley. Today, the Association operates the Hawthorne Valley Farm, a 700-acre biodynamic farm in Columbia County comprised of an on-site creamery, bakery, and fermentation cellar providing fresh produce and agricultural products to the farm store and other retailers as well as for its 300-plus CSA members. The significance of the Association’s contribution to the regional food and farming community is, however, not just limited to the growing and selling of healthy food. Since its inception, education has been a central tenet of the organization’s mission. Martin Ping, executive director of the Hawthorne Valley Association, is one of the region’s influential thought leaders on progressive agriculture, education, and the arts. 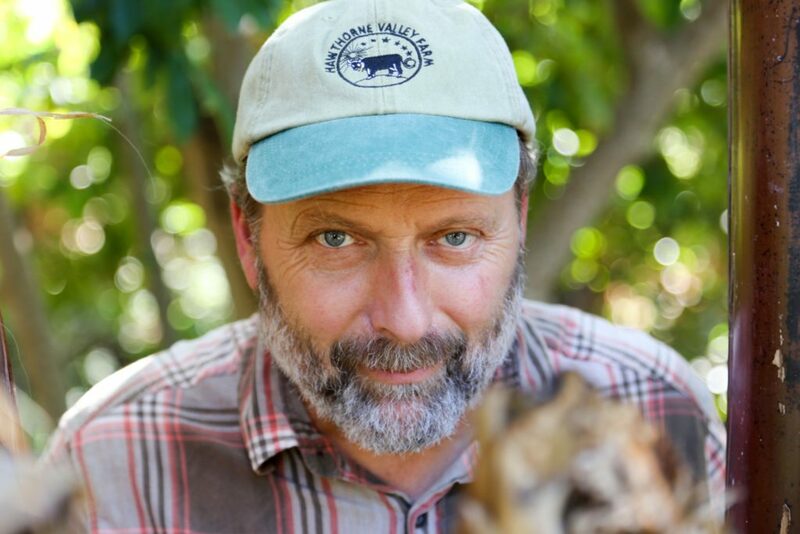 Through his leadership, Hawthorne Valley has developed innovative programming in biodynamic farming, holistic education, and social research. Local Economies Project has proudly funded this work since 2012. One of Hawthorne Valley’s most influential efforts is the Farmscape Ecology Program, which conducts multi-year studies for farmers and landowners to provide a level of depth and understanding into local ecological systems. Most recently, the Farmscape Ecology Program has begun a series of research projects to better understand the ecology of the Hudson Valley Farm Hub. Through efforts like these, the Hawthorne Valley Association has become an anchor for farmers, families, environmentalists, and educators in our region. What is the Hawthorne Valley Association? It’s an association of rather diverse enterprises and initiatives all working in one way or another toward the renewal of society and culture. We recognize the land as the starting point where all of our economy and sustenance comes from. We’re approaching agriculture with a particular disposition and sensitivity to producing a healthy and viable economic model for the farm. In addition, we feel the education piece is essential. Since 1972, for example, the farm has hosted school children from urban schools who arrive on a Monday and stay in the main farmhouse until Friday every week of the school year. We provide a deep immersion into the agroecological experience of where their food’s coming from; what stewardship of the land might look like; and what the night sky looks like. We also offer a lot of day programming to provide agroecological experiences to students in Columbia County, particularly in the City of Hudson. We also host a nursery-through-grade-12 independent Waldorf school. Why is the relationship between LEP and Hawthorne Valley Association important to you? LEP has had a significant impact in the Hudson Valley since its inception as both convener and funder. I think of LEP as a sister organization and a critically important collaborative partner of the Hawthorne Valley Association. Through its shared values and vision, thought partnership, and financial support, LEP has helped advance the mission of Hawthorne Valley in co-creating a generative and resilient local economy in our region. What roles do farming and food play in shaping a society? It’s fundamentally ground zero. Everything ultimately comes from the ground. Pretty much everyone I’ve ever met, I’m fairly certain, is an eater. We’re all very much connected through food, and how we think about our food has a lot to do with how we end up stewarding the land and whether or not we’re even going to have land to steward to feed future generations. Everything ties back to how we treat the land, and so our agricultural practices should be reflective of a more future-bearing orientation. Why is education such a big part of the overall mission? What will really shift the paradigm will be those people who take an interest in what we’re doing. Taking an interest leads to understanding, and understanding hopefully moves into a place of compassion, or even love, for the land and the place that they live on. We believe that starting out with a young person brings something back into family life. The children are not that disconnected yet, and not as cynical and jaded as we might be as adults. When you bring nine-year-olds onto the farm and let them muck out a cow stall, they are just as happy as can be. It makes sense to them. It’s doing something practical, something that has value, and they just gobble it up. One would hope that all children and young people could have that experience. If you can come here and experience it firsthand, as we do week after week, you can see how much everything we do here resonates with children. They get it. They get really into it, and then they go home and might influence their parents. One day, those children will grow up to become the people that are making the food choices in their households. After 45 years of operations we’re already in the third generation of families coming to Hawthorne Valley. We like to think that over the years, the 25,000 or so children who have had their residential week on the farm are seeing some small, measurable impacts in their own lives, in the lives of their family, in the lives of their community, and in the level of awareness around food choice and land stewardship. What is biodynamic farming? How is it employed at the farm? Biodynamics is actually the oldest form of organized organic agriculture. It’s about approaching the farm as a living organism in itself, and understanding the health of all aspects of the organism. You don’t necessarily just see a symptom and address only that symptom by spraying a chemical at it. You try to understand the whole farm organism and what may or may not be in balance or out of balance. It’s much like a human being, if you think of more holistic approaches to medicine and wellness. To take it a little further, it’s interesting to understand the farm in the context of larger spheres of influence. It’s pretty obvious the influence that the sun has on agriculture, and no one’s going to deny that. But for most people it might be a stretch to acknowledge the role that the moon plays, especially in viticulture [cultivation of grapevines], with the rising and falling of sap depending on the size and phases of the moon. Biodynamics tries to extend that a little further to be sensitive to all of the influences that might be at play, even very subtly, in soil, animal, and human health. It’s sometimes hard to quantify or prove in some scientific fashion. And yet, if you were to look through the history of agriculture and the human relationship to land and the cosmos, it’s probably historically more a part of our approach than the modern industrial model. Why is the partnership between the Farm Hub and the Farmscape Ecology Program so important? I salute the Farm Hub in their engagement with the Farmscape Ecology Program to better understand how the Hub’s farming practices impact the wider ecological landscape. The Farm Hub is a critical project with high visibility and a great amount of land. I wish every landowner, every farmer, and anyone who’s really going to work with the landscape would have the humility to approach it in the same way that the Farmscape Ecology Program does. There’s a lot we don’t know, so let’s begin to have that relationship, that inquiry, and that interest. The program has already had a significant influence in Columbia County [on land management practices], and I’d love to see that positive impact spreading as much as possible. If we make poorly considered land choices, it’s hard to get the land back. How did you initially get involved with the Hawthorne Valley Association? In 1984 my wife and I were looking for a doctor who would help us have a homebirth, and we heard about one in Harlemville [where Hawthorne Valley Association is located]. At that time, we were living on the other side of the Hudson River. I was an independent contractor and we were homesteading on a 35-acre farmstead. Even before we pulled into the hamlet, I actually pulled my car over. I’ve never done it before or since, but I said “Wow, what is this place?” Something was really speaking to me, which I now call the “being” of Hawthorne Valley. We had our doctor’s visit, and we went into the farm store for something to eat. We looked across the street at this really odd looking building and someone told us it was a school. By the second visit, we were starting to understand that this was a community that upholds all the values that were important to us. My entry point into working here was teaching at the high school; mostly practical work, woodwork, metalwork, and building projects. This slowly turned into a full-time position, and by 2003 the board had asked me if I would take on the position of executive director. It was hard to say no, as I was really interested in creating the conditions for a community with a healthy future to emerge, and the position of executive director certainly held the opportunity to work on that at an intense level. That’s what I’ve been doing since 2003－ I’ve been loving every minute of it. How do beauty and aesthetics relate to farming? When we’re younger, we experience the world as a beautiful place. When we grow up, we perhaps begin to see that things are not as perfect as we thought, and we might even become cynical and jaded. That’s less likely to happen in a place where beauty matters, and where people tend to things and take care of things in a particular way. For instance, we try to make our children’s camp a beautiful experience. Since we’re in mud season now, you might not see that fully. But when things start coming back into bloom you’ll see the horticultural gardens that are planted all around the campus. You’ll see the style of architecture and the detail we’ve put into it. I think it matters immensely, and it’s a shame in a way that the metrics and the compensation for farmers too often force choices that go toward something that’s less than beautiful. Farmers should be surrounded by beauty, because they are the ones feeding us and tending the earth. They should be able to come home to a beautiful place. What Does the Next Economy Look Like? 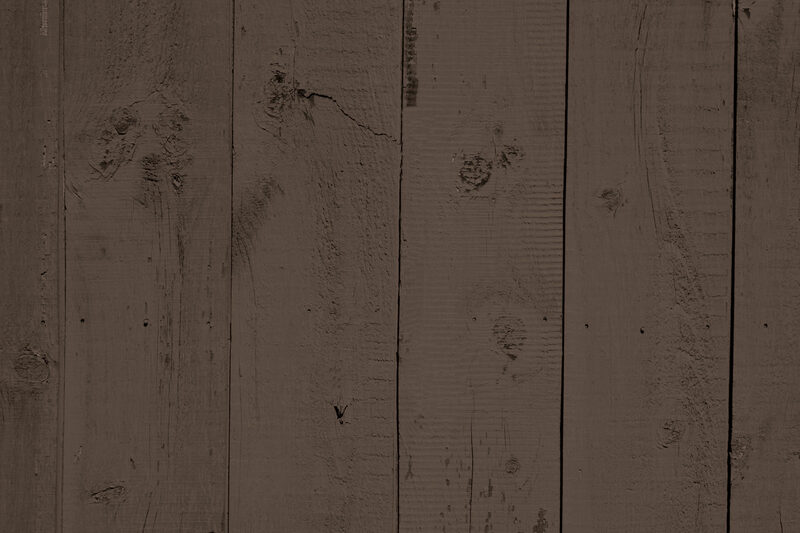 Farm Hub Website has Launched!